When it comes to exporting to Qatar, Mercator is able to handle the physical process from start to finish. In the UK, we can collect, pack and load your export shipment, formalise UK export customs and arrange the sea or air freight from the UK to Qatar. Once your goods have reached Qatar, we can instruct our freight forwarding partner based in Doha to assist with customs clearance and delivery to door. It is this comprehensive offering that puts our service level above other freight forwarders. 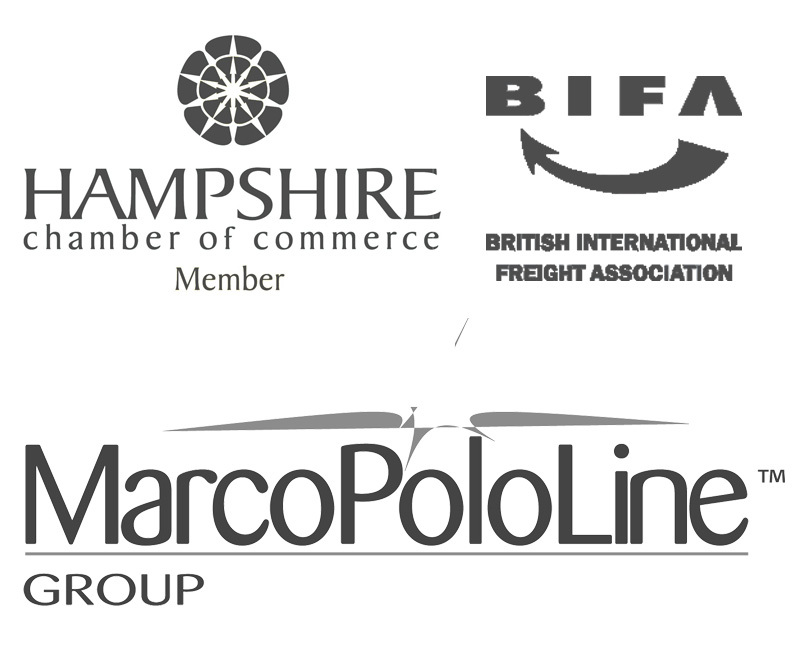 In 2006 our MD (Paul) founded the global freight forwarding network MarcoPoloLine (MPL) with three other European agents. Today, we have over 340 partner offices in 99 countries, all are vetted and recommended to join the group, who can assist with local matters, so you can relax knowing your cargo is in good hands. Through Mercator as your main point of contact, we make exporting to Qatar as simple and stress free as possible. Our export services to Qatar include both sea and air freight. Sea freight departures are weekly from various UK ports including Felixstowe and Southampton, and call at Doha in Qatar with a transit time of approximately 30 days. From single pallets and shared shipping containers through to multiple shipping containers, we can handle all sizes of cargo, and most commodities. Commonly, we handle UK manufactured electrical components and engineering works for export to Qatar. Air freight departures are daily from the major UK airports calling at Doha. Air freight is much quicker than sea freight, however, it does come with a premium price. If you are short on time, then air freight is a good choice for your export shipment to Qatar. Don’t forget to factor in closing times for the airline departure, loading, unloading and customs clearance to the transit time (it can add a few days either side of the shipment). If you have sold goods to a company in Qatar, you will have agreed an international term of sale which will set out what you (as the supplier) are responsible for when it comes to shipping, and what your customer must arrange themselves. If you are responsible for the whole shipment, then we can arrange a complete door to door service for you. Or if you just need to deliver the shipment to a Qatar port or airport, we can also handle that and then hand it over to our agent in Qatar so that they can arrange the final part of the export on behalf of your customer. With our contacts based in Qatar, we can call upon their valuable local knowledge, so that we can ascertain any required customs procedures, documentation and restrictions on imports into Qatar. We’ll do our best to make sure that all the required information is known before beginning the export shipment. Mercator has a wealth of experience importing cars from Qatar into the UK. Over the years we have handled many vehicle shipments from Qatar, and as such have established a supply chain for shipping cars from Qatar to the UK. Our agent in Qatar can assist with the export customs, and even loading vehicles into shipping containers. We offer both RORO and containerised car shipping services from Doha, Qatar to the UK. Most RORO (roll on roll off – where the vehicle is driven onto the vessel) call at Southampton port, similarly containerised car shipping would most likely call at Southampton. We have many requests for loading a car into a 20’ container. The majority of the cars that we ship from Qatar to the UK are either high performance or super cars, and containerising them minimises the risk of damage in transit. Our agent in Doha will oversee the loading, lashing and packing of the vehicle into the container. Once your vehicle arrives into the UK, we will arrange the UK customs clearance, which usually involves a payment to HMRC for UK import VAT & duty. The amount payable depends on the age and value of the vehicle that you are importing. Sometimes it is necessary to obtain ‘type approval’ for the car that you are importing into the UK, we will be able to put you in touch with someone who can handle this process for you. We can arrange for unloading of your vehicle from the container at Southampton port (if applicable) and even onward delivery to your door, however, most of our customers prefer to collect the imported car from the port themselves. Sea freight services from Doha to the UK take around 30 days on the water (sometimes longer depending upon the vessel carrier). You will likely need to drop the car off at the port about a week in advance of the sailing date so that it can be loaded into a container or put in place ready to be driven onto the vessel (in the case of RORO).